There Are Alternatives: Africa describes examples of “alternatives” in operation across North Africa and was launched alongside the African Commission on Human and People’s Rights (ACHPR) 62nd Session in Mauritania. 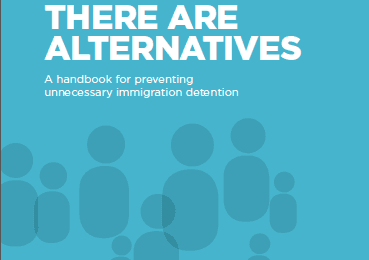 The IDC ran a side event on alternatives to detention identified across the African continent that are more humane, less expensive and more efficient at achieving case resolution. Commissioner Maya Sahli-Fadel, Special Rapporteur on Refugees, Asylum Seekers, Migrants, IDPs, and Stateless Persons, was one of three speakers on the Panel discussion who highlighted the importance of identifying opportunities for shared regional approaches that assist in reducing the need for unnecessary immigration detention. Read her guide for policy makers, an introduction piece for handbook. The French translation is available, here. See the Launch Agenda here and more information about the launch here. The research for the report has highlighted three key themes. Firstly, there is widespread use of Alternatives in the MENA region, the IDC looks forward to publishing further findings on this as a result of our current research project (see more about ongoing field visits below). Secondly, there is growing momentum around the development of Alternatives globally. Thirdly, there are increasing practical developments in the implementation of Alternatives that yield benefits for governments, migrants, and host communities. For example, registration and provision of work permits to migrants who find themselves in an irregular situation in Morocco and Algeria. Junita Calder, IDC’s Africa Regional Coordinator was invited by Honourable Commissioner and Special Rapporteur on the Rights of Asylum Seekers, Refugees, Migrants, Stateless Persons and IDPs Maya Sahli-Fadel to talk on the Panel “Understanding and Management of Mixed Migration in North and Sub-Saharan Africa” during the ACHPR Ordinary Session. While in Nouakchott, IDC Middle East and Africa team met Mauritanian NGO members and partners to discuss how the IDC might be able to support them through combined advocacy and explored areas for future collaboration. We were particularly impressed by the women’s vocational training centre we visited which makes freedom of movement a reality, by supporting women from west African countries to access non-exploitative employment and support their children; eventually allowing them the economic freedom to return home, if they wish to or to begin the process of integration. The IDC is hoping to capture some of the learning about how Middle East and North Africa (MENA) governments have managed to host large numbers of refugees and migrants since the onset of the Syrian conflict, without resorting to the widespread use of immigration detention. The IDC undertook study visits to Egypt and Lebanon in August and September. The visits aimed to document how alternatives to detention, especially case management systems, have been explored, developed and implemented en mass. Case management, as we understand it, goes beyond following up on an individual’s migration status determination process. It is instead, a comprehensive and systematic service delivery approach designed to ensure support for and a coordinated approach to, the health and well being of people with complex needs and abilities. IDC, the Global Campaign to End Child Immigration Detention together with Insan Association launched the Lebanese “Next Gen Index” in Beirut, 4th September 2018. The Next Gen Index is an important advocacy tool that ranks States on their progress in ending child immigration detention, and Lebanon came second last, behind the USA, with 18 points. The launch event created space for a conversation about child immigration detention, using the standard scoring framework to reflect honestly on the situation in Lebanon. Read more about the launch here and download the Lebanon report here. The Israel Scorecard Committee, comprised primarily of IDC member Hotline for Refugees and Migrants, completed the Next Gen Index for Israel. Their country report is available to download here. Since 2015, IDC have been engaging and working with IOM and the Danish Refugee Council programmes in Libya. 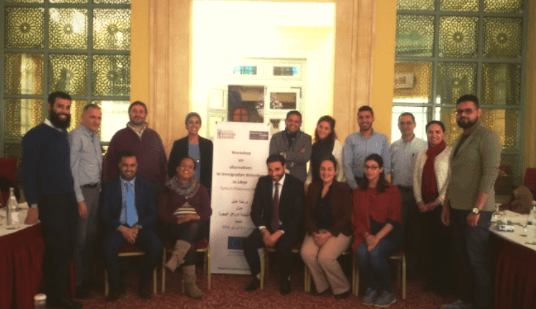 Working alongside these organisations, IDC has been running capacity building workshops for and providing technical advice to a range of Libyan NGO and Government staff, as well as embassy representatives based there. The workshops, training and research have inspired the design of local alternative to detention programming options. IOM Libya has since increased staff to capacity to exclusively support alternatives to detention in Libya and IDC will continue supporting the development and piloting of host family and shelter alternative models. IDC attended a Global UNHCR Global Detention Strategy (GDS) internal meeting in April 2018 and met with both the Detention focal points from UNHCR Iraq and UNHCR Israel to hear insights into alternatives to detention in their national contexts. IDC MENA was then able to introduce UNHCR Iraq to the IDC Asia Pacific team and IDC Director when attending the UNHCR’s Roundtable on Reception and Care Arrangements for Asylum-Seeking Children in Bangkok, Thailand 10-11 October 2018. The IDC has engaged with around 200 MENA members and partners, with whom the IDC has shared their advocacy tools, including: IDC Online Training Toolkit; The Roadmap for States to Develop Alternatives to Detention; The Roadmap for States to End the Immigration Detention of Children; The Alternatives to Detention Database; The Global Campaign to End Immigration Detention of Children’s the Next Gen Index resources such as the Key Global Trends Report and the Global Launch Webinar. Around 10 new MENA members have joined the IDC in 2018, most of whom are from Lebanon, Mauritania, and Egypt. 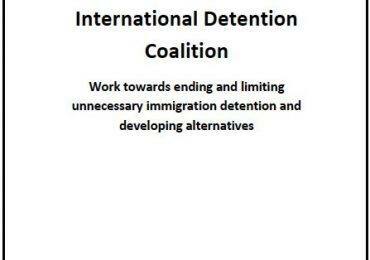 In addition, the IDC was able to connect organisations working on similar issues, both regionally and nationally.